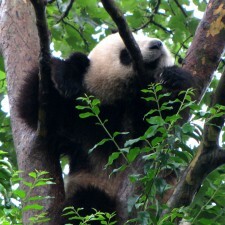 Chengdu was a wet and comfortable 21C (70F) when we landed. Water was sheeting down the airport windows. They said it was the 4th straight day of rain. The news was reporting that mud slides and flooding a few towns north of Chengdu in the same Sichuan province had just killed 30 people. 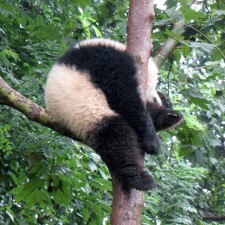 Our prospects for seeing pandas during our 24 hours on the ground were not looking good. 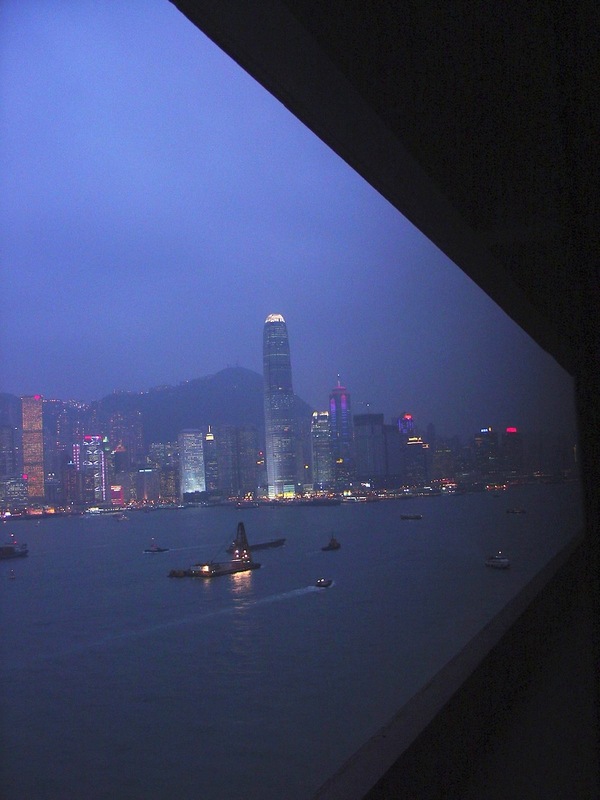 We arranged for the Shangri-La Hotel to pick us up at the airport (we could have taken a taxi, but…). They brought umbrellas and a nice big and new Buick minivan to pick us up. We were given washcloths to wipe ourselves off and the cup holders had bottles of water. We were met at the door by Vera, one of the guest services greeters. She took us directly to our room where she checked us in via her tablet. 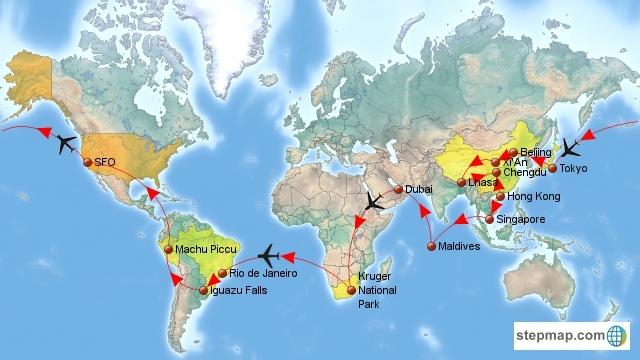 We had originally arranged for a hotel car to take us to see the pandas the following day, but Vera suggested that we hire a taxi instead and pay for it to wait for us. This saved us about 350RMB (over $50). Water continued to streak down the windows, so we headed for a snack on the 36th floor at the Horizon Club (review coming soon) and then to the pool for a swim. 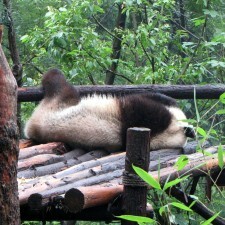 The next morning the city was still foggy and soggy, but the rain had subsided, so we headed off to see the pandas. We hired a taxi to take us there, wait for us while we explored the panda facility, and bring us back — 3 and a half hours for $40. 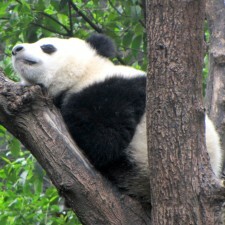 The Chengdu Research Base of Giant Panda Breeding is a non-profit facility dedicated to protecting and breeding pandas. 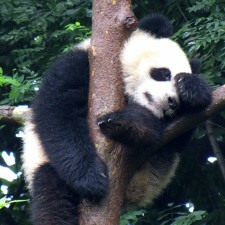 Today they have over 80 pandas. 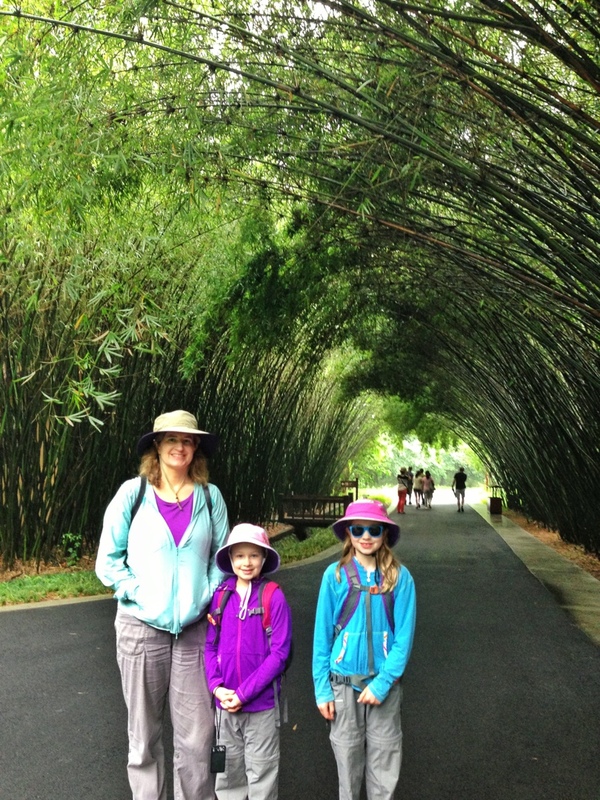 The bamboo groves of this park made up for us missing Kamakura in Japan. Perhaps not as large, but still pretty cool to walk through and under. 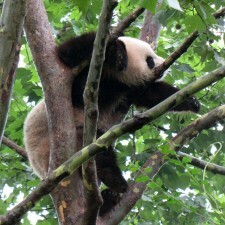 We were fortunate to see several pandas. The weather cooperated, and it wasn’t raining or hot. Some were out for a snack, others were already sleeping. We did not opt to hold a panda. 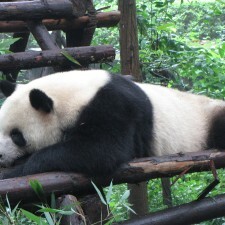 It was too expensive (2000 RMB = $333), and they did not have any openings until the afternoon. 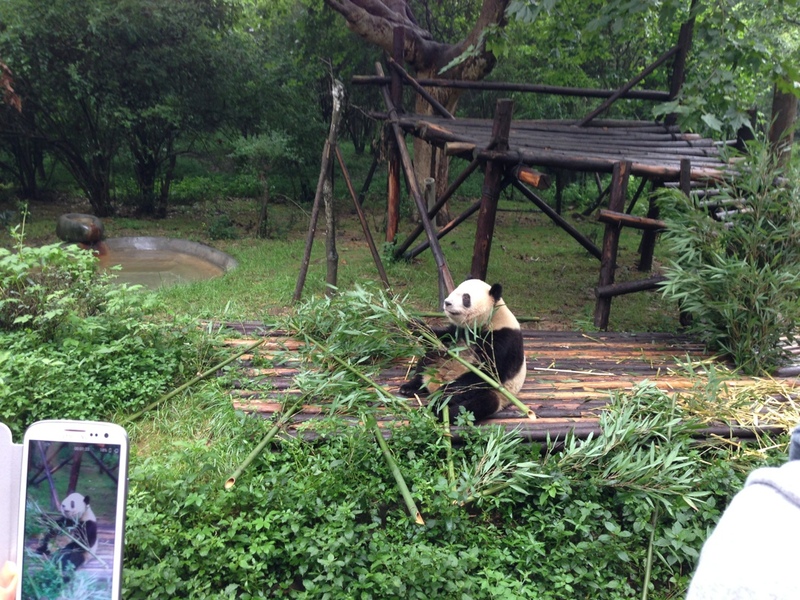 So no close up photo ops with panda cubs here. 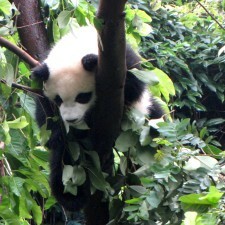 The red pandas were very active eating and climbing trees. They look like a cross between a lemur and a fox. 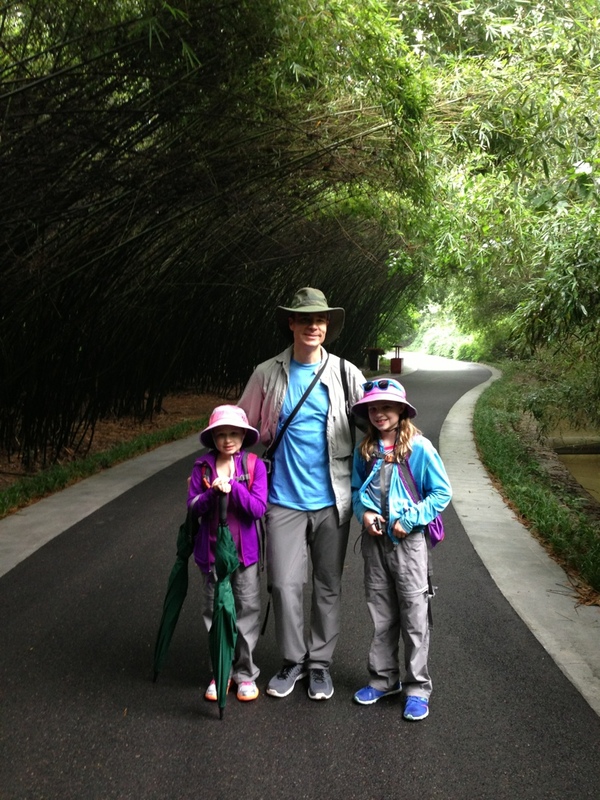 After 90 minutes of wandering around the bamboo groves looking for sleepy pandas, we decided to head back to the hotel for some food, swimming, and showers before our flight to Hong Kong.